Our workers’ compensation lawyers focus exclusively on recovering worker’s compensation liens for insurance companies and large self-insured companies in all 50 states, the District of Columbia and abroad. White and Williams employs the largest group of full-time lawyers who practice this discrete area of the law on a national basis and our lawyers are equipped to handle the nuances of varying state statutes and laws governing worker’s compensation subrogation. We believe in a proactive approach to lien recoveries and are not satisfied with waiting for a third-party attorney to “protect” an insurer’s lien. Our lawyers work to immediately and thoroughly investigate each noticed loss, retain the proper experts and develop theories of liability to pursue, through negotiated resolution, litigation if necessary and arbitration if warranted. 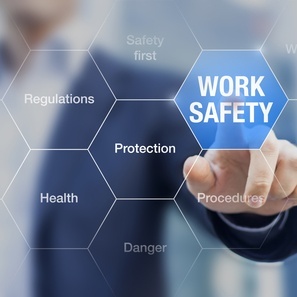 Our lawyers have litigated cases and successfully procured verdicts and recoveries in complex and catastrophic workplace accident cases, including products liability, construction site accident, manufacturing facility loss, maritime accident, aviation accident and trucking accident cases to name a few. Our experience with products liability cases includes, among other things, cases involving injuries caused by defective material handling equipment, industrial machinery, ladders and scaffolds. Our workers’ compensation lawyers are recognized leaders in the industry and are frequent lecturers at national and regional subrogation conferences, seminars and webinars.